hosted by the "Gingerbread Lady"
In late 2011 CBF had the opportunity to have a beaver mounted so it could be added to the State Parks' collection of native wildlife. 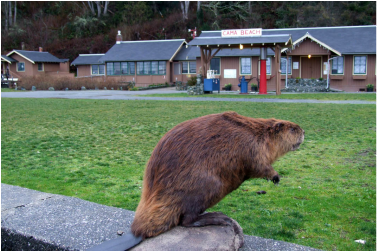 The taxidermy process takes several months but In February 2012 the beaver returned to Cama! He's now on permanent display at the Cama Beach Store for all visitors to see up close.